Apple and pumpkin picking. Buckets of mums. Oktoberfests at breweries. Trees showing off their vibrant new colors. Sweaters and boots emerging from storage. The roar of the crowd at football games. It took a while, but you’re finally in an autumn frame of mind. 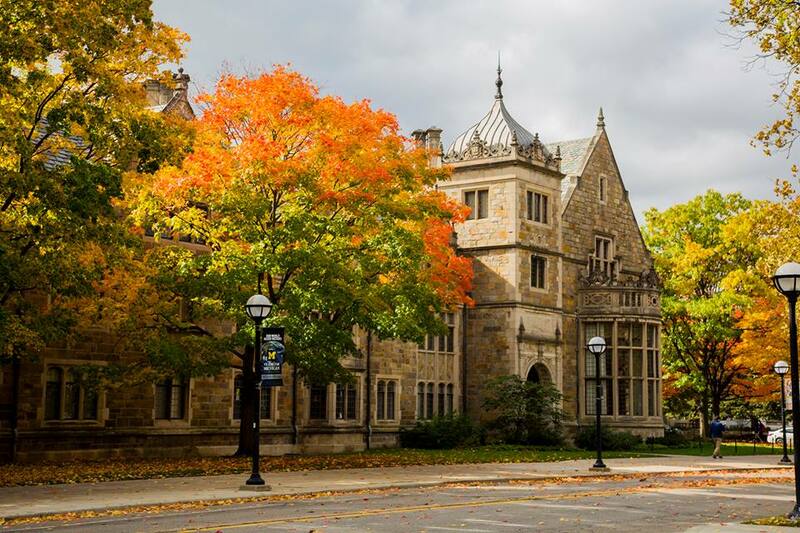 Fall is definitely the best time of the year to visit Ann Arbor. Though only 45 miles west of Detroit, A2 is known as one of the best small cities in the country. Since it’s smaller than nearby Grand Rapids and Lansing, it has a charm that the larger cities lack. But it’s home to a big university—that would be the University of Michigan—so it doesn’t feel remote. College students give the city a liberal vibe; Vietnam War protestors, who once filled the streets, would now be campaigning for the decriminalization of marijuana. Plus public parks—there are nearly 150 of them—and public art surround the Huron River, the campus, and the area’s ranch-style houses. Ann Arbor was founded in 1824. The small town grew rapidly after the University of Michigan moved here from Detroit 13 years later. A2 remained firmly blue when the state started to turn red during the 1960s and the 1970s. Now tech companies are moving in. They raise property values and gentrify the city. But they attract new shops, restaurants, and hotels in the process. You’re staying at one of these new hotels. Graduate Ann Arbor just opened last year. It’s downtown and only three blocks from campus. As soon as you walk in, you feel like you’re entering a private club. The lobby has wood floors, leather-clad columns, and plaid chairs. A hand-painted mural hangs behind the reception desk. Chalkboards, littered with graffiti, cover the walls. Caffeine and Zingerman’s bagels are available at the Graduate Coffee counter. An old-school restaurant, Allen Rumsey Supper Club, serves Old Fashioneds and Manhattans from a cocktail cart. While a grand staircase, protected by Persian rugs, leads upstairs to the rooms, where a BarkBox will be waiting if you travel with your dog. 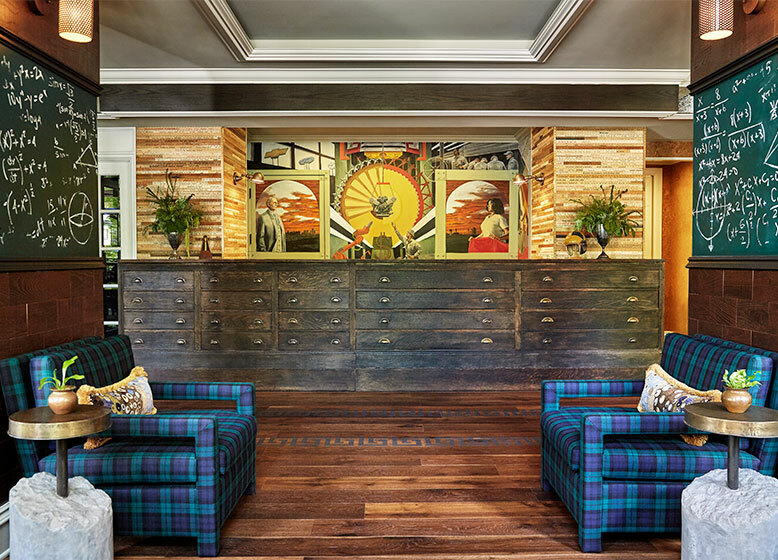 After checking out your king room—it features an ornate dresser, an overstuffed lounge chair, and more plaid—you’re ready to start exploring Ann Arbor. If you borrow a bike, it will be easier to reach the gardens (Nichols Arboretum and the Matthei Botanical Gardens), the restored theaters (the Michigan Theater and the State Theater), and the breweries (Arbor Brewing Company and Wolverine State Brewing). Be sure to stop at the bookstores and the art galleries along the way. It’s a good time to decide where you’ll eat, as well. Aventura (for paella) and Grange Kitchen and Bar (for one or two Michigan Marys) are the best spots for brunch. You’re even more excited for dinner at Taste Kitchen, where Asian accents might lead to some of the most interesting dishes you’ve eaten in a long time. Then there’s the game tomorrow. Michigan Stadium, known as the Big House, is the largest stadium in the country. The Wolverines have only lost one game so far this season. The crowd will be wearing maize and blue, and singing “The Victors” long before they enter the stadium. It’s infectious, so you’re bound to join in. Just don’t tell anyone that you’re really a Spartan at heart. Beautiful- always heard great things about Ann Arbor. Have to make a visit sometime. Thanks for sharing.